Rabbi Lesches of Melbourne Australia has sent out reminders of Halachos and customs pertaining to Purim, which falls out tonight, Wednesday March 20th at sundown. The custom is for children to wear masks or costumes. One should ensure that costumes do not contain Shatnez. Cross-dressing is absolutely forbidden throughout the year. Although the Remo and several other early Achronim rule leniently with regards to Purim, the overwhelming majority forbid it. This prohibition applies to all adults and children who are of the age of Chinuch. V’al Hanissim is recited in each Shmoneh Esrei of Purim. One should not intentionally skip V’al Hanissim to recite Kedushah or Modim with the Minyan. If one forgot V’al Hanissim at the appropriate place in Shmoneh Esrei, he may still recite it if he did not yet say Hashem’s name at the end of that Brocho. After that point, he does not recite it. V’al Hanissim is recited each time one bentches on Purim. If one forgot V’al Hanissim at the appropriate place, he may recite it before saying Hashem’s name at the end of that Brocho. After that point, he may recite it as a Horachamon, as per the Nusach printed in the Siddur. Towards the end of benching, one recites Magdil, and not Migdol. One should endeavor to hear the Megillah as soon as possible after the fast has ended. [If circumstances require it to be read beforehand, a Rav should be consulted.] Nevertheless, the Megillah may be read the entire night until dawn. One may not perform any activity that may distract him prior to reading the Megillah. Therefore, one may not eat, drink, nap or perform work from half-hour prior to Tzeis until after hearing the Megillah. An Ovel (within 12 months of a parent’s passing or within 30 days of a spouse, child or sibling’s passing) may serve as Chazzan on Purim. The Chazzan recites Kaddish Tiskabel immediately after Shmoneh Esrei. The Megillah is read immediately afterwards. After the Megillah is concluded, V’atah Kaddosh is recited, followed by the entire Kaddish but without Tiskabel. All men and women over the age of Bar/Bas Mitzvah must hear the Megillah. At the very least, one should hear the Megillah with a Minyan. [This applies even if he will be reading the Megillah later for individuals who could not attend a Minyan.] If this is also not possible, one should still endeavour to hear the Megillah with as many people as possible. 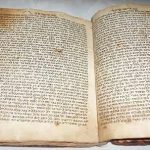 One may assume that his friend consents to his Megillah being borrowed for the sake of performing the Mitzvah, as long as it remains in the vicinity at all times and it is returned to exactly the same place in the same condition. It is preferable that the listener follows along in a proper Megillah and recites the words in a whisper audible only to himself – but only if he is sufficiently familiar with the proper pronunciation of the words. One who follows along from a Chumash should not recite the words at all, but must rather pay especially close attention to the Ba’al Koreh. One may touch the parchment of the Megillah directly, unlike a Sefer Torah. The Ba’al Koreh in Shule should be flanked by at least one person on his right and another on his left. An Ovel (within 12 months of a parent’s passing or within 30 days of a spouse, child or sibling’s passing) may read the Megillah for individuals. However, he should not serve as the Ba’al Koreh in a Minyan, unless this is his regular function, or there is nobody as fluent as him. Everyone should stand for the Brochos, unless it is too difficult. During the actual Megillah reading in Shule, the Ba’al Koreh must stand (and may lean for support if necessary), but those listening don’t need to stand. Nevertheless, the Rebbe would stand, and this is the prevalent custom. If the Ba’al Koreh already heard the Megillah, the Brochos are recited by another man who did not yet hear the Megillah, and he is Moitzie everyone. If none of the other men present are able to recite the Brochos, the Ba’al Koreh may recite it for them (or prompt them word by word). When the Megillah is read for women only, and the Ba’al Koreh already heard the Megillah, the women recite the Brochos themselves (standing). They may either recite the Brochos individually, or have one woman be Moitzie all the others. The same applies when reading the Megillah for children under the age of Bar/Bas Mitzvah. One should not speak from the time of the Brochos until after the Megillah reading (and the last Brocho) is concluded, because unnecessary speech constitutes an interruption, and also prevents him from hearing every word of the Megillah. Whenever Haman’s name is mentioned alongside a title, one should stamp his feet vigorously. Children should be encouraged in spinning their graggers and stamping out Haman’s name. The Ba’al Koreh should wait for absolute silence before resuming. The following Pesukim are read aloud by the congregation, followed by the Ba’al Koreh: 2:5, 8:15, 8:16, 10:3. The Ba’al Koreh raises his voice at “Balailah Hahu” (6:1). The Baal Koreh reads “Laharog Ul’abeid; v’Laharog Ul’abeid” (8:11) and “V’ish Lo Omad Bifeneyhem; V’ish Lo Omad Lifeneyhem” (9:3). The final Brocho is recited by the Ba’al Koreh, but only if the Megillah was read with a Minyan. [The Rebbeim would recite this Brocho even without a Minyan.] Shoshanas Yaakov is recited by everyone even when there is no Minyan. One who misses hearing even a single word is not Yoitzei the Megillah reading. Therefore, one should pay absolute attention to every word whilst the Ba’al Koreh is reading the Megillah, and not allow his mind to wander. If one missed hearing a word, the best solution is to read from that word onwards, until he catches up with the Ba’al Koreh. This is necessary because each word of the Megillah must be read/heard in the correct order. It is best to do this using a proper Megillah, but a Chumash is still acceptable for this purpose (up to half of the Megillah). One need not recite the words with the Trop if this will detain or prevent him from catching up to the Ba’al Koreh. However, one must ensure that all the words are properly enunciated and vowelized. If one missed a word and did not follow the guidelines above, or he left during the Megillah reading for even a short time, he must hear the Megillah again. Nevertheless, he does not need to start again from the beginning, but may instead resume hearing it from the place where he was interrupted. In such an instance, one does not repeat the Brochos unless he diverted his attention from the Mitzvah of Megillah. As mentioned above, one should not speak during the Megillah reading. If one said anything unrelated to the Megillah between the Brochos and the very start of Megillah, he needs to recite the Brochos again. If one spoke after this time – even matters unrelated to the Megillah – he does not repeat the Brochos again. Nevertheless, being that he could not have properly heard the words that the Ba’al Koreh was reading whilst he was talking or repeating the Brochos, he must follow the guidelines above for one who missed a word. One should not pause unnecessarily during the Megillah. Nevertheless, if one paused even for an extended period of time, he may resume from the place where he paused. The exception is if he was forced to pause due to circumstances beyond his control, and the pause was for more time than it would have taken him to finish reading the Megillah. In such a case, one needs to start reading the Megillah again from the beginning, but does not repeat the Brochos. It is customary to eat seeds on Purim, such as poppy-seed Hamantashen, to commemorate the seeds that Esther ate when keeping Kosher in the king’s palace. Ideally, Megillah should be read after sunrise. Shacharis should be timed to read the Megillah as soon as possible. In extenuating circumstances, one may read the Megillah between dawn and sunrise. Ideally, men should not eat before hearing the Megillah. If this is difficult, or there is any concern that one will be unable to concentrate during davening, one may snack, but should not eat a K’beitzah (57 grams) of Mezonos. Nevertheless, one should not be stringent if there are any health concerns. V’al Hanissim is recited in Shmoneh Esrei, and Tachnun is not recited. During Krias Hatorah, the word Zecher is first read with a Segol, then again with a Tzeirei (the reverse of Parshas Zachor). If one did not yet give Machatzis Hashekel, he should do so before the Megillah reading. When the Brocho of Shehecheyanu is recited, all should have in mind the other Mitzvos of Purim; i.e. Mishloach Manos, Matanos Lo’evyonim and Seudas Purim. Preferably, the Gabbai or Ba’al Koreh should announce this. One should wear his Rashi Tefillin until after the Megillah reading (and davening). The Rebbe would touch his Tefillin Shel Rosh at the word Vikor (8:16), for it refers to Tefillin. A Bris performed at Shule is conducted right before Megillah. A Bris performed at home is held after davening. One should not perform manual labour on Purim (e.g. building, gardening, sewing, laundering, calligraphy and artistic drawing or painting) unless for the sake of Purim or a Mitzvah; or he is so poor that he is without food; or to prevent a financial loss. One may do light office-work or sell goods and merchandise, but not to the point that it distracts him from the joy of Purim. One may instruct a non-Jew to perform manual labour on Purim. Men should send their Mishloach Manos to men, and women should send their Mishloach Manos to women. It should not be a group Mishloach Manos, nor should it be sent anonymously. Some authorities hold that Mishloach Manos should be delivered through a Shliach. The Shliach may even be a child. The Mishloach Manos should be both sent and delivered during Purim day (and not the night before or after). When giving Mishloach Manos to one who is not yet observant, one should remind him to make the appropriate Brochos on each food item. Mishloach Manos may not be sent to an Ovel (within 12 months of a parent’s passing or within 30 days of a spouse, child or sibling’s passing). If it was sent for whatever reason, the Ovel may accept it. One may send Mishloach Manos to an Ovel’s spouse or child. The Ovel himself is required to send Mishloach Manos, but should send simple food items. When sending Mishloach Manos in a new (non-disposable) utensil that requires Tevilas Keilim, it should be performed by the recipient and not by the sender. This is because Tevilas Keilim needs to be performed by the end user. All men and women over Bar/Bas Mitzvah should give Matanos Lo’evyonim to at least two needy people. Children (of the age of Chinuch) should also do so. Matanos Lo’evyonim must go specifically to needy people (or Tzedakah organisations devoted to that purpose), and not to other Tzedakah causes. Matanos Lo’evyonim should be delivered during Purim day (and not the night before or after). If there are no poor people present, one must physically set aside Matanos Lo’evyonim – a verbal pledge is insufficient – and distribute it at the earliest opportunity. Alternatively, one should appoint a Shliach who can distribute it for him in a different location. It is preferable to allocate more of one’s funds to Matanos Lo’evyonim than to Mishloach Manos and Seudas Purim. One who thought to give a certain sum as Matanos Lo’evyonim may not retract, even though his pledge wasn’t verbal. One should do all within his or her power to ensure that every Jew hears the Megillah and fulfills all the Mitzvos of Purim. This includes even children of the age of Chinuch. One should arrange gatherings and events for adults and/or children who are not yet familiar with Purim, and utilize the opportunity to tell the story and laws of Purim, as well as to fulfill the Mitzvos of Purim with each of them. These gatherings should be conducted in as exciting and public a manner as possible. One should participate in visiting Jewish people who are in hospitals, aged-care facilities, in the army, or in jail. If one is faced with the choice of reading the Megillah for someone only once, he should prioritize the daytime reading over the night-time reading. 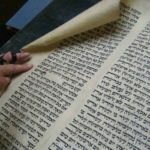 If the Megillah is read for someone who may be too infirm or incompetent to listen to the whole reading properly, the Brochos should not be recited. Where possible and appropriate, one should involve his children in Mivtzoim activities. One who cannot perform Mivtzoim personally should participate financially. Megillah readings should conclude before sunset. In extenuating circumstances, it should be read (and concluded) before the advent of three stars, without the Brochos. One must feast and rejoice on Purim. In fact, the joy of Purim is even greater than the joy of Yom-Tov. The feast is conducted in the late afternoon. Hence, Mincha is davened earlier than usual, prior to the Seudah. Despite the hustle-and-bustle of Purim, one should make a point of learning Torah prior to the Seudah, for a short period of time. Since Purim is thirty days before Pesach, one should begin reviewing the laws of Pesach. A fair part of the meal should take place during the daylight hours. At the very least, one should eat a Kezayis before sunset. If circumstances do not allow one to conduct his Seudah in the late afternoon, he may eat this meal anytime during the daylight hours. One should feast among family and friends, because a larger crowd increases the joy. One should also invite guests to the Seudah. The table should be set with a tablecloth. Some have the custom to light candles. The prevalent custom is to wash, and eat meat and other delicacies. It is also customary to eat Kreplach. One should share words of Torah at the meal, especially words of Torah that are connected with the Purim story. 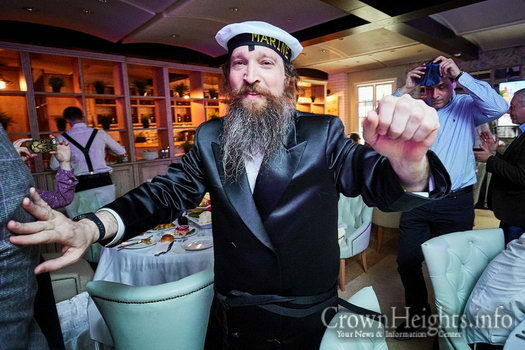 Chazal instituted that one should drink wine on Purim “until he doesn’t know the difference between Orur Haman and Boruch Mordechai”. Many Poskim understand this to mean that one must drink to the point of intoxication. At the same time, the Poskim caution against becoming inebriated when there is even the slightest chance of negative consequences. This especially applies to anyone with a medical issue or a weak constitution; to young teenagers; to anyone whose behaviour may not completely conform with Halacha when inebriated (such as forgetting to make a Brocho properly, bentch or daven Maariv); to anyone who may cause damage, injury or shame to himself or others; or to anyone who may cause a Chillul Hashem when inebriated. Anyone in this category should discharge their obligation by drinking only slightly more wine or alcohol than usual. It goes without saying that drinking and driving can be deadly and is a severe violation of Halacha. It is also dangerous for an intoxicated person to cross the road himself, and he should therefore be escorted home safely. The Mitzvah of drinking wine or alcohol does not apply to women and children. The Rebbe established a year-round ban against people under the age of forty drinking more than four Kelitchlach (shot cups) of alcohol. Some years, the Rebbe made an exception for Purim. However, on many other occasions, the Rebbe stated explicitly that this ban extends even to Purim. The Rebbe would especially caution the Bochurim about this, and suggested that they fulfill their obligation by increased involvement in “Yeyna shel Torah” (the wine of Torah). On the night following Purim, one must not forget to daven Maariv as soon as possible. In any case, one should certainly daven before midnight. The night following Purim is an especially appropriate time for a Chassidishe Farbrengen, and is an appropriate way of celebrating the joy of Purim in a manner of “b’rov am hadras melech”. Purim is an auspicious time for the Daled Bavos to be sung. Additionally, the Rebbe frequently instructed that Hop Kozzak and Nyet Nyet Nikovah be sung at the Purim Fabrengens. Fasting is forbidden. Even though there is no requirement to eat a festive meal, one should still rejoice and eat something special in honour of Shushan Purim. During the annual Purim Farbrengens, the Rebbe would note that Shushan Purim is an appropriate time to begin giving Maos Chittim; to begin focusing on learning the Halachos of Pesach; to begin making Mivtzoim preparations for Pesach; and to begin arranging the distribution of hand-made Shmurah Matzah.